We're loving Groupon's Deal of the Day. Today they're offering you the chance to buy £30 worth of Namco tokens for only £9 - that's 70% off. 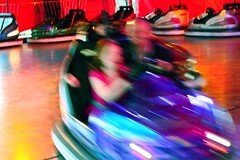 If you've never been to Namco Station at London's County Hall on the South Bank, it's a great option for families with school age kids, with everything from turbo bumper cars, air-hockey, video games, horse-riding and skiing simulators, and 10 pin bowling. We earn a small commission from Groupon, at no extra cost to you. This helps us cover essential maintenance for our website and continue to develop it as a free resource for parents with young children. We handpick suitable promotions from a veritable sea of options, and never allow incentives or commissions to affect the integrity of our content.